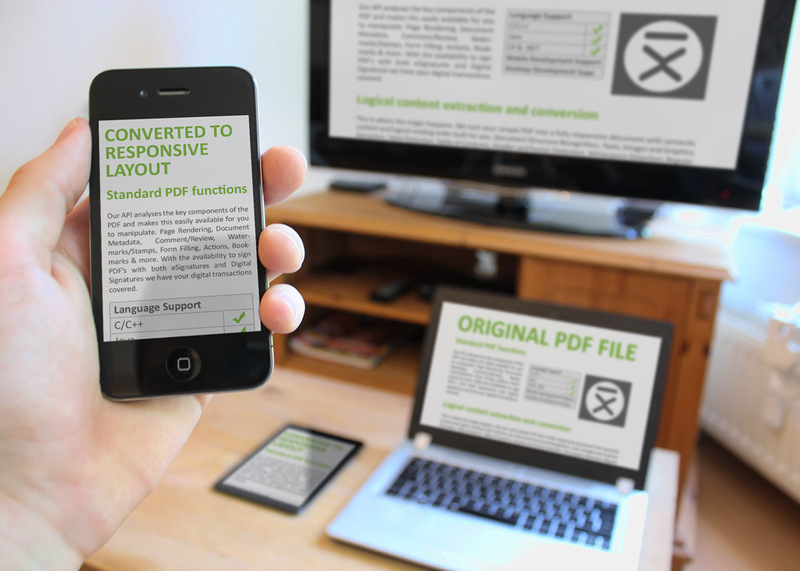 Many developers and users are asking the question: “How to make a PDF document responsive?” Responsive layout and text reflow have been a matter of course for a couple of last years. It´s very pleasant to have adapted view of the content on each device. No matter if on a desktop machine, tablet or smartphones. The content must be adapted and displayed perfectly to achieve a pleasant user experience. And what about the case of PDF document? PDF document is actually the final, output format. When someone creates a final PDF document, he doesn´t assume that it will be necessary to edit it further. What you see on the screen will be reliably printed or displayed on another device. And that´s because users love it. Back to the question. 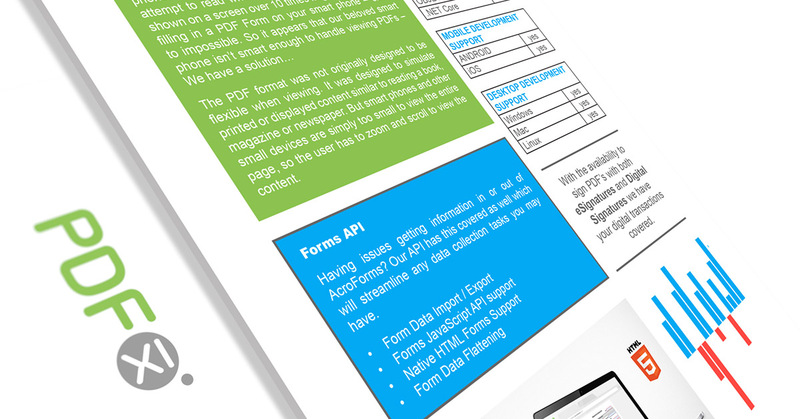 If you want a “responsive PDF”, you must realize this fact: PDF is a fixed layout document. PDF has an essential feature that is not used often. But it´s perfectly useful for making the responsive layout. Do you know what it is? PDF Tagging. It’s usually used for accessibility only but it has bigger potential which is something people don’t know. PDF files contain many things as texts, graphics, link, bookmarks, etc. PDF files may also include some “structure” that sets correct reading order and presence and meaning of significant elements such as figures, lists, tables, and so on. This structure is expressed via PDF “tags”. A PDF file equipped with well-formed tags may be “reflowed” to fit different page or screen widths and will display well on handheld devices. Unfortunately, a lot of PDF documents are not properly tagged or not tagged at all. This is where our PDFix SDK do the magic. 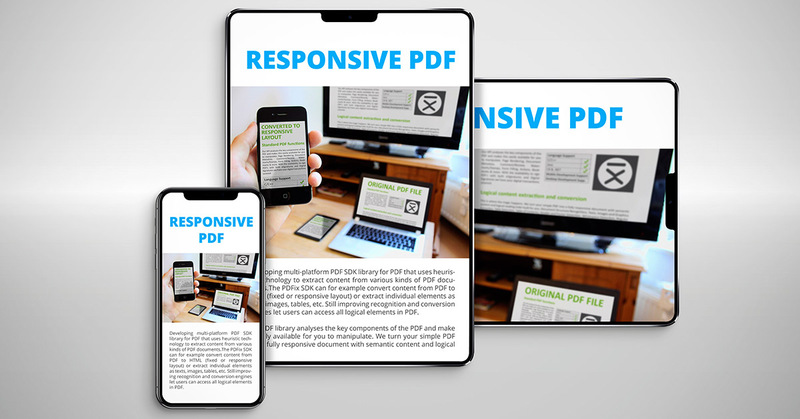 To make the content of PDF document responsive, we need to pull all the data out of the PDF file and write them to another format that supports responsive layout. 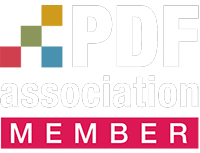 Accessing and recognizing elements of the PDF file is not easy. But fortunately, our PDFix SDK Library can do that and the results are very precise! 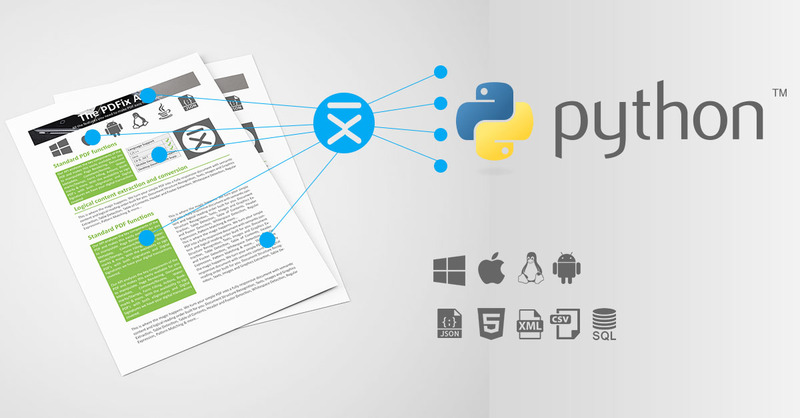 PDFix PDF to HTML extension allows you to convert PDF document into either multiple HTML files or one continuous HTML page. We can generate a truly responsive HTML page, that gives you an advantage in the current Mobile World! We are always looking forward to adjusting solutions to meet the customer’s needs and expectations. How to proceed? Download the PDFix SDK here and request the License key or Download examples from PDFix GitHub. Take some of your PDF’s and use this samples code snippet. Give us feedback to meet your requirements!